This piercing is made by a needle which will be more like getting an injection; rather than a piercing gun which will feel like a stapler pin going through the baby’s skin. This piercing is ideal for small, intricate piercings, the upper lobe piercing is exactly that. 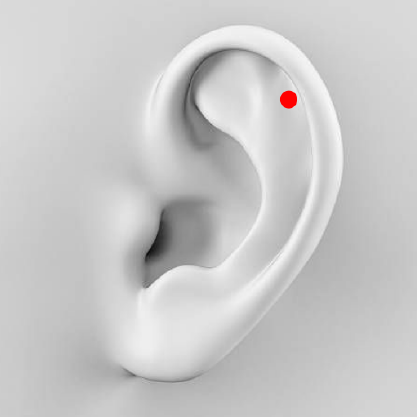 Depending on your ear size, some people can fit up to three piercings between this spot and the lower lobe. This piercing is done in the outer part of the ear which is called the auricle, between the helix and the earlobe. It has become one of the most fashionable ear piercing options due to its outward location which is great for flaunting fancy body jewellery. This piercing refers to the middle section of the ear. There is both an inner conch, which is when a stud is punctured right through the middle, and an outer conch where a hoop will start in the middle, but hug the outer edge of your ear. A helix piercing typically sits at the top of your ear cartilage. There's plenty of room in this area, so double and triple helix piercings are quite common. This is a cartilage piercing where the jewellery sits on the outside of the ear, as opposed to the inside. It's perfect for people whose ears fold over a little at the top. This piercing requires two holes, both in the outer cartilage. They're usually punctured diagonally opposite each other (but the angle is up to you), and linked together with a barbell. This piercing is designed to describe the cluster of piercings that basically resemble a constellation. This piercing sits flat through the 'flat' area of skin between your ear canal and cartilage. If you have space for two earrings on your lobe, why not go for a vertical lobe piercing, which sees two studs stacked on top of each other. Sitting just above your ear canal, is the tragus. The size varies greatly from person to person, but it's usually only big enough for one piercing, whether it's a stud or a hoop. Just above the daith sits a ridge, which is referred to as a rook. A curved barbell is usually the jewellery of choice for this spot. 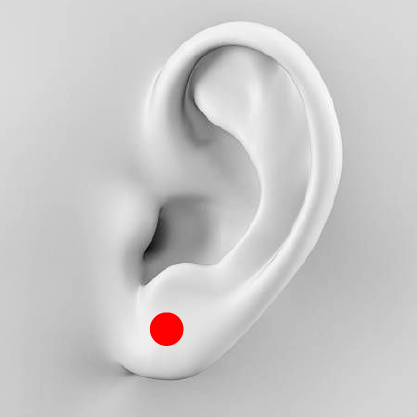 Sitting slightly above the anti-tragus is a piercing spot called the 'snug'. Possibly because of how snugly a small hoop hugs it. This piercing is when one piece of jewellery goes through two (or sometimes more) piercings. It's commonly done in the lobes, but can sit anywhere else in the ear as well. This piercing sits opposite the tragus with a similar pointy shape. This piercing sits through the most inner part of the ear's cartilage. Interestingly, some people find this piercing offers them relief from severe headaches and migraines, although there is still no hard evidence as to why. These piercings are absolutely to die for. You need three or more earrings of the same design, but different sizes. These piercings are a combination of three or more piercings done on the lobe at a certain interval from each other. You may use pretty hoops or gem studs. These piercings are usually done with barbell. The earlobe is pierced horizontally at an angle and a piece of jewellery is passed through both the perforations, which makes the piercing an immediate eye-catching one. This piercing sits on the inner and top half of your ear cartilage, it can be a single stud or ring, as well as a series of piercings. This is a facial piercing through the cheek. 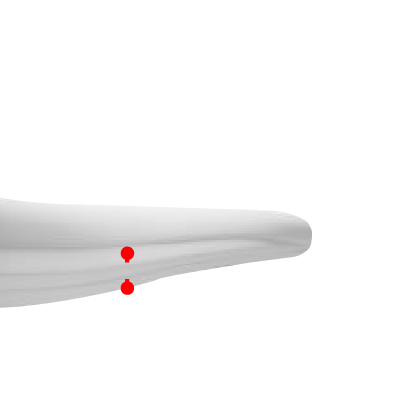 The most common variation of the cheek piercing penetrates the facial tissue into the oral cavity. The usual placement is symmetrical on either side of the face, either penetrating or imitating dimples. 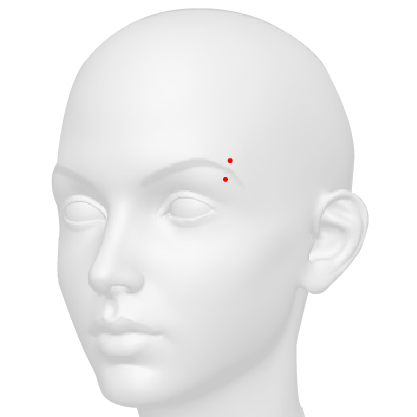 This is a facial piercing that is placed above the cheek bone or below the eyebrow. This piercing is also known as upper cheek piercings, tears, and teardrops. This eyebrow piercing is a type of surface piercing that is placed horizontally along the line of the eyebrow. This eyebrow piercing is a vertical surface piercing. The septum or nasal septum is the cartilaginous wall that divides the two nostrils.The cartilage is, however, usually not pierced. It is the thin strip of very soft and flexible skin, just between the cartilage and the bottom of the nose. The septum or nasal septum is the cartilaginous wall that divides the two nostrils. The cartilage is, however, usually not pierced. It is the thin strip of very soft and flexible skin, just between the cartilage and the bottom of the nose, where septum piercing is mostly done. This piercing is also known as an Erl, it is a horizontal bar across the bridge of the nose. It's considered a surface piercing. This piercing is a double perforation above the upper lip. It is a symmetrical piercing, located on both sides of the lip. A spider bites piercing is actually two separate piercings that are placed near each other off to one side of the lower liparea. These are single piercings done in the center of both the upper and lower lips. This is a pair of double piercings, located on both sides of the lower lip. In total, shark bite piercings make four holes in two symmetrical sets. This piercing is placed on the corner of the mouth is pierced with a labret stud, as close to the corners as possible to create a lengthening effect. This piercing is placed above the upper lip. This piercing is an upper lip piercing that is very similar to a labret piercing, or more specifically a vertical labret piercing. It is placed in the philtrum of the upper lip, directly under the nasal septum. 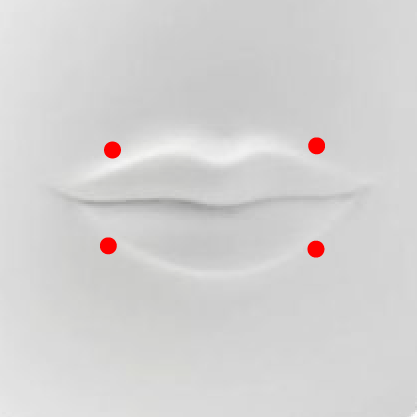 This is a lip piercing placed off-center, above the upper lip on the left-hand side and is meant to resemble Marilyn Monroe's beauty spot, although Monroe's beauty spot was on her cheek, not her lip. The Madonna piercing is similar but worn on the right-hand side. This piercing gets its name from the pop singer Madonna, but also from the model Cindy Crawford, since they both had a beauty mark in the same spot. This piercing is located on the left side of the upper lip. This piercing is actually a pair of piercings placed immediately below the lower lip, fairly closely together to the right and left of the central area. This piercing goes through the skin just below the bottom lip and out through the back into the gum opposite. This piercing is placed through the lower lip and can be simply considered a form of surface piercing. This piercing is placed as low as possible under the lip. This piercing is below the bottom lip, above the chin. This piercing is the most common type. The jewelry goes straight through the middle of the tongue. This piercing, also known as the web piercing is a body piercing through the frenulum underneath the tongue (frenulum linguae). This piercing is when you have your tongue pierced in two areas near the front of the tongue. 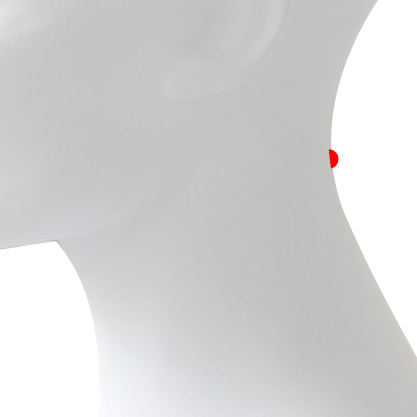 This is a piercing through the surface of the nape (back part) of the neck. This piercing is a perforation of the collarbone area in which a micro dermal anchor is implanted underneath the skin using either a needle or dermal punch. 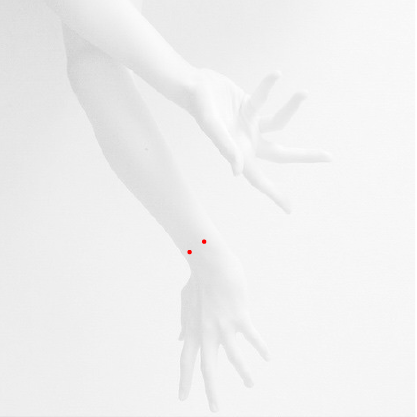 This piercing is a located through the surface of the wrist. These piercings are a type of surface piercing. This piercing can be placed on any one of the fingers, most notably the ring finger. Usually on the back of the hand near the base of the finger. This piercing resembles lower back dimples, also known as Venusian dimples which are symmetrical indentations sometimes visible on the human lower back, just superior to the gluteal cleft. This is a piercing in the pelvic area through the skin near the hip bone. Hip piercings are often done in couplets with one on each hip, but it is not unusual to see only one. Hips piercing are a type of surface piercing. This piercing, sometimes also referred to as a madison, is typically positioned on the front of the neck, often in the fleshy part just between your collarbones. This piercing is a type of surface piercing that's located on any point along the sternum (breastbone). Although sternum piercings are often placed vertically between the breasts, they may also be done horizontally under the collar bone. This piercing is also referred to as a belly button piercing or an umbilical dip piercing. This piercing located through, in, or around, the navel.